The Scoot Mobile File is extremely functional and versatile with a contemporary look and steel construction. 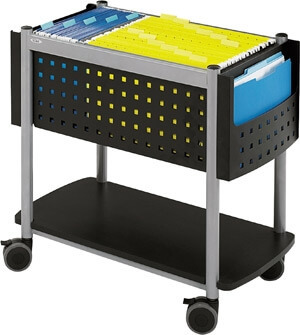 The cart is designed to accommodate letter or legal-size folders and has additional pockets on either end for active files. Over-sized swivel casters (2 locking) provide mobility so you can easily slide the cart under a work-surface to open up valuable floor space.